We’ve all experienced the disappointment of having to put everything on hold when our bodies crash and our health deteriorates, usually just when we think we can least afford to slow down or take a break. Deep down, most of us know that there is often an inherent wisdom in the irony of those moments. Nevertheless, most of us would rather avoid the inconvenience altogether—whether it’s a cold, a cough, the flu, shingles, or something else. Given the choice, who among us would refuse a hardy immune system? We all want to be healthy and would rather avoid illness and disease. So, how do we support robust immunity? At its core, Ayurveda is not about suppressing symptoms, but about addressing the root cause of our imbalances. If our immune systems are compromised, we have to ask ourselves why, and we must be willing to change course to correct the underlying issues—whatever they may be. Of course, each individual is unique, and working with an Ayurvedic practitioner to specifically address the current dynamics in your system is a fantastic way to support positive change. Still, there are a number of general strategies that can help to support immunity in all of us. At first glance, some of the recommendations you’ll find below may seem quite basic. In fact, many of them are. These strategies are built on the premise that our bodies are inherently intelligent and that, given proper support, our physiology already knows exactly how to foster and protect optimal health. As you will see, there is an elegant beauty in the Ayurvedic approach to bolstering the immune system; it is simple, intuitive, and it reminds us just how amazing the body’s self-regulatory systems are. 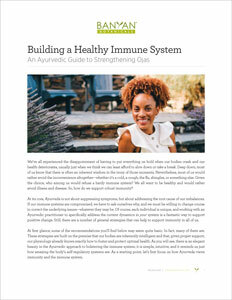 As a starting point, let’s first focus on how Ayurveda views immunity and the immune system. According to Ayurveda, strong immunity is a product of good digestion, strong agni (the metabolic fire), quality liver functioning, and a balanced endocrine system1 (which includes appropriately balanced hormones). Immunity is also very much connected to a mysterious substance called ojas. The Sanskrit word ojas literally means “vigor.”2 However, in the body, ojas is extremely subtle and elusive—somewhat difficult to define, even. Yet in the Ayurvedic tradition, ojas has everything to do with immunity. It is said that the strength of one’s ojas determines which factors and influences—whether internal or external—cause disease in each individual.3 Grasping the Ayurvedic approach to bolstering the immune system therefore hinges on having at least a peripheral understanding of ojas. Ojas is the positive subtle essence of kapha—that which gives the body strength, vigor, vitality, and immunity. It is the superfine essence of all of the bodily tissues and the end product of perfect digestion. As such, it is a direct reflection of the quality of agni; strong agni yields healthy ojas, while impaired agni hinders the production and quality of ojas. But ojas is also affected by past trauma, lifestyle choices, stress levels, the quality of our relationships, and our overall state of consciousness. Ojas is naturally rich in soma (the subtlest form of matter), and it eventually becomes consciousness.4 In fact, healthy ojas fosters a state of bliss.5 Ojas is protected when we are able to live in the present moment with pure, detached awareness. On the other hand, it is diminished and dried up when we are overly effortful, stressed, contracted, or selfish. Ojas also protects prana, the vital life force that animates each of us. Being the ultrafine, subtle essence that it is, ojas is affected by almost every aspect of our lives. What follows are a number of especially potent recommendations for promoting quality ojas and strong immunity. Tending to agni is the number one way to promote optimal health throughout the system, which in turn, protects ojas. If this idea is new to you, you might appreciate our health guide, The Importance of Healthy Digestion. In very general terms, agni is supported by a diet that minimizes stimulants, refined sugars, and processed foods. Instead, emphasize healthy, whole foods, and be attentive to Ayurvedic Food Combining. Agni is also strengthened when we eat with mindfulness, maintain a regular eating schedule (eat our meals at consistent times from one day to the next), and when necessary, follow a vata-pacifying, pitta-pacifying, or kapha-pacifying diet. If you are not sure of your current state of balance, you can take our Ayurvedic Profile™ quiz to determine if a specific diet would support your agni and encourage a more efficient return to balance. It is also worth mentioning that including garlic in your diet will offer natural support to the immune system. Garlic kindles agni, destroys natural toxins, encourages the maintenance of a normal body temperature, supports the lungs, and clears excess kapha.6 Not only does garlic offer natural support for the immune system, but it can also clear harmful bacteria while preserving the body’s natural, beneficial flora.7 While garlic is considered a rajasic food, it is important to consider its capacity to bolster and protect the immune system. Sleep is critically important to the immune system. Studies have shown that when animals are completely deprived of sleep, they suffer a total loss of immune function—resulting in death.8 In humans also, sleep deprivation severely compromises immunity. For example, studies have linked sleep deprivation to an increased risk of cancer as well as a reduction in the immune system’s ability to slow the growth of cancer cells.9 If sleep is a challenge area for you, you might be interested in our health guide, An Ayurvedic Guide to Balanced Sleep. Otherwise, try to go to bed and get up at about the same times each day, and aim to sleep for about eight hours each night. Managing stress is an important health topic in its own right.  That said, excess stress is extremely detrimental to our immune response because stress hormones very effectively suppress the immune system—reallocating vital resources in order to ensure our immediate survival.10 Therefore, reducing your exposure to stressful situations will undoubtedly preserve ojas and bolster your immune system. If however, you are ready to re-pattern your response to stressful situations, please read An Ayurvedic Guide to Stress Management, which explores the Ayurvedic perspective on stress and offers a number of useful tools for supporting an improved relationship with challenging situations. Our physiology is very much adapted to—and supported by—some sense of regularity. Ayurveda recommends a daily routine for everyone. However, because it helps to calm the nervous system and relieve stress, focusing on a routine can be a particularly potent means of preserving immunity and protecting ojas. Making even a modest commitment to routine gives our nervous systems a number of reassuring reference points throughout each day, signaling the system that all is well, that we can be at ease. Over time, this context of predictability and safety encourages the nervous system to relax, reduces stress, encourages rejuvenation, and helps to preserve immune function. The very first steps in establishing a daily routine are quite simple. Try to awaken, eat your meals, and go to bed at about the same times each day. If possible, you can also maintain a consistent work or activity schedule. This level of consistency alone can be powerful; adding self-care or mindfulness practices will offer an even deeper level of support. If you are drawn to the idea of an Ayurvedic daily routine, please visit our Daily Routine Department, which explores this concept in depth, and offers personalized daily routine recommendations for different constitutions and imbalances. Proper exercise helps to release accumulated tension, move stagnant mental and emotional energy, and improve circulation. It also kindles agni (which is essential to optimal health), improves digestion, bolsters the body’s detoxification mechanisms, encourages proper elimination, promotes relaxation in the body, and supports sound sleep—all of which serve to protect ojas and support the immune system. However, improper exercise can actually be quite damaging, and can compromise immunity. Ayurveda offers the unique perspective that the type, duration, and intensity of exercise that is most supportive for each of us depends largely on who we are as individuals. If you do not know much about your personal characteristics, our Ayurvedic Profile quiz can help you determine your constitution and help you identify your current state of balance. After you know which of your dosha(s) need the most attention, our Daily Routine Department can guide you in establishing an appropriate exercise regimen. Keep in mind that for most people experiencing a consistently high level of stress, a vata-pacifying exercise routine that is gently paced and grounding is often most appropriate at first. If you are not currently exercising regularly, remember that a supportive exercise program does not have to be complex or time-intensive. A daily twenty-minute walk can do wonders for the entire system—body, mind, and spirit. There are a number of subtle therapies in the Ayurvedic tradition. Each of them has a slightly different set of indications and benefits, but all of them help to cultivate presence, cleanse the nadis (subtle channels of the body), digest ama (toxins), relieve stress, and support the quality of ojas—ultimately supporting immunity. There is certainly no harm in including all of these practices in your daily routine, but if they are all new to you, we highly recommend implementing one at a time, starting with whichever practice most appeals to you. Prana, the vital breath, is the subtle essence of the life force that animates each of us. It infuses every cell and tissue throughout our bodies and is carried on and stimulated by the breath.11 Imbibing prana restores fluidity and vitality to the subtle energy channels of the body, releases accumulated tension, and supports the nervous system as a whole—all while digesting and eliminating stagnation and ama. One of the best ways to bathe our tissues in fresh prana is to practice pranayama (yogic breathing exercises). To offer specific support to the immune system, try Ujjayi (Breath of Victory) for vata, Sheetali (Cooling Breath) for pitta, or Kapalabhati (Skull Shining Breath) for kapha. All three of these practices are generally tridoshic, so you are also welcome to choose a practice according to the indications and benefits of each one. If stress is the primary factor compromising your immune system, Nadi Shodhana (Alternate Nostril Breathing) offers powerful support and would be the most appropriate starting place. Yoga also moves prana in the body, helps to dissipate tension, clears stagnation, and encourages fluidity throughout the tissues, the subtle body, and the mental and emotional spheres. Ayurveda offers a nuanced approach to yoga that specifically helps to balance whichever doshas need the most attention in your system. You can take our quiz to determine your current state of balance at any time, and our Yoga Department explains how to practice vata-pacifying, pitta-pacifying, and kapha-pacifying yoga. If stress is clearly a factor depleting the quality of ojas in your system, vata- and pitta-pacifying yoga routines are often the most supportive. Meditation supports us in cultivating passive awareness and therefore helps us to engage with our lives in a clearer, more detached manner. This skill, in turn, calms the nervous system, decrease stress, and encourages a healthier response to stressful situations—all of which help to protect ojas and promote immunity. Over time, a daily meditation practice can truly re-pattern the brain. If you do not have a meditation practice, something simple like Empty Bowl Meditation is a great place to start. There are a number of herbs in the Ayurvedic tradition that can support the immune system. These herbs often have an affinity for specific tissues and systems in the body, and, each in their own way, help to encourage proper immune function and optimal health. Substances such as milk, ghee, or sugar work as carriers, or anupans, that assist in delivering herbs deepr into those tissues. For more information on these Ayurvedic carrier substances, see our anupan guide. Immune Strong tablets are comprised of a potent blend of both Ayurvedic and western herbs that help to detoxify the blood, the lymph, and that support the immune system. This formula bolsters the body’s natural defenses and simultaneously helps to promote overall health and well-being. For general immune system support take one to two tablets, once or twice daily. For additional support, take two tablets up to four times daily, or as directed by your health practitioner. Chyavanprash is a traditional Ayurvedic herbal jam made in a base of amalaki fruit. This balancing formula kindles agni, helps to buffer the body against stress, and bolsters the immune system. A daily dose of this nutritive jam can support energy, vitality, and overall well-being. Take 1–2 teaspoons daily, or use as directed by your health practitioner. Sitopaladi and Talisadi are traditional Ayurvedic formulas aimed primarily at bolstering the immune system. Sitopaladi supports the proper functioning of the lungs and sinuses, encourages healthy expectoration, kindles the digestive fire, and helps to burn excess kapha. This formula also helps to eliminate excess vata, pitta, and kapha from the head and chest, thereby promoting clear, healthy respiration. Talisadi contains all of the ingredients in sitopaladi, with the addition of talisa, black pepper, and ginger—making it a similar formula, though more heating. Talisadi also has a particular affinity for the lungs. Take ¼–½ teaspoon of either of these formulas with warm water (or in honey) once or twice daily, or as directed by your health practitioner. Turmeric is known to bolster the immune system, purify the blood, strengthen digestion, and eliminate natural toxins from the digestive tract. Turmeric tablets offer an incredibly easy way to ingest the beneficial properties of this well-known golden yellow spice. Take one to two tablets, once or twice daily, or as directed by your health practitioner. If you prefer, turmeric is also available as a powder or a liquid extract. Ginger kindles the digestive fire, burns ama, promotes healthy expectoration, cleanses the blood and lymph, encourages healthy circulation and sweating, and removes excess kapha from the lungs. Ginger has long been used to stimulate and support the immune system. Ginger liquid extract delivers the wide reaching health benefits of ginger root to the body with ease. Take thirty drops in water or juice one to three times daily, or as directed by your health practitioner. If you prefer, dried ginger powder or fresh ginger root can offer similar support to the immune system. Tulsi removes excess kapha from the lungs and upper respiratory tract while promoting healthy circulation, and strong digestion. It is useful in maintaining a normal body temperature and it naturally bolsters the immune system. Tulsi is very sattvic in nature and it serves to elevate awareness, mental clarity, and the energy of love. This plant is so highly revered in India that it is often kept in and around the home for its deeply purifying and beneficial properties. We offer both Tulsi liquid extract and Tulsi powder. Throat Soother Herbal Spray helps to support the throat, which is often one of the first places to reveal that the immune system might be stressed. Herbs like slippery elm, licorice, turmeric, ginger, fennel, and clove in a base of glycerin and honey gently lubricate and soothe the throat, warm the region, clear accumulated kapha, and support the voice. This formula also very effectively bolsters the health of the immune system as a whole. Bronchial Support Herbal Syrup is modeled after ancient Ayurvedic formulas aimed at promoting bronchial comfort. The combination of vasaka, tulsi, pippali, and other traditional rejuvenatives for the lungs, offer powerful bronchial support and a boost for the immune system overall. Stress Ease tablets support the resiliency and tone of the neuromuscular system, helping the body to better cope with stress and providing a sustained source of natural energy. This herbal formula is naturally rejuvenating and therefore may also benefit anyone prone to fatigue, weakness, or a sense of overwhelm. Take one to two tablets once or twice daily, or as directed by your health practitioner. I Sleep Soundly tablets contain natural muscle relaxants to help release accumulated tension from the neuromuscular system and encourage sound sleep. This formula contains rejuvenative herbs (like ashwagandha) that serve to restore vitality throughout the body and mind. It also has a subtle, soothing effect on the mind as a whole, which helps to ease mental restlessness. Remember, sleep is critically important to the proper functioning of the immune system. Take one to two tablets about a half hour before going to bed, or as directed by your health practitioner. I Travel Well liquid extract was formulated to support the body through periods of travel, when our schedules are generally hectic and irregular, our sleep may be disrupted, healthy meal choices are often few and far between, and our bodies are trying to cope with rapid time zone changes. This liquid extract bolsters the body’s natural adaptive mechanisms to support the digestive, immune, respiratory, and nervous systems while eliminating natural toxins and supporting the body in reestablishing healthy sleep patterns. Take thirty drops in water or juice one to three times daily, or as directed by your health practitioner. Ayurveda teaches us that ojas and strong immunity are the natural outcomes of good health, which depends on robust agni, a healthy diet, a supportive lifestyle, and a balanced nervous system. This being the case, supporting the immune system is often more about basic self-care than anything else. Our bodies flourish with proper nutrition, and adequate sleep; they do even better when we commit to managing stress, cultivating healthy relationships, embracing joy and meaning, and living in alignment with our own authentic truth. The above suggestions will undoubtedly support the immune system, but it is equally important that you honor yourself and your own timing. Ayurveda is a very holistic and individualized wellness tradition; it is all about you—your unique strengths and vulnerabilities, and your personal path toward healing. With this in mind, take your time. Follow your inspiration. Approach change one manageable step at a time. And celebrate the milestones along the way. We hope that we can continue to support you on your path toward vibrant health, unshakable strength, and a robust immune system. 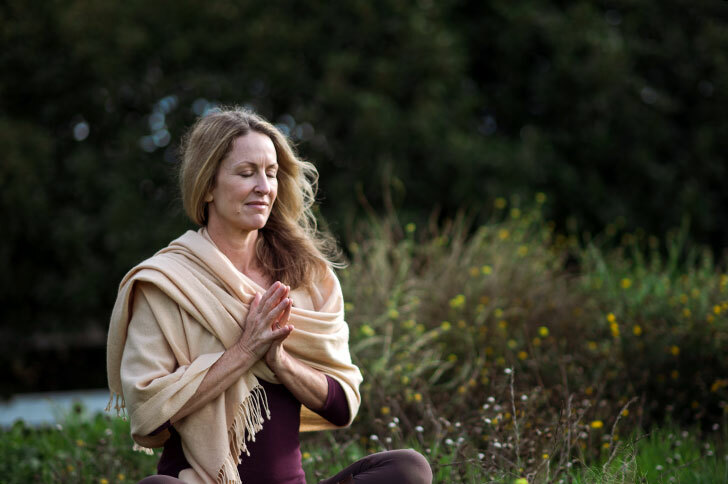 Melody Mischke is a certified Transformational Coach, Ayurvedic Practitioner, Yoga Teacher, Writer, and Intuitive. She began studying meditation in India at the age of 18, and has degrees in both Environmental Science and Contemporary Spirituality. Her grounded wisdom, highly skilled capacity to hold space, and her razor-sharp aptitude for seeing her clients' deepest gifts—alongside their most critical stumbling blocks—make her a highly sought-after coach. She writes regularly for Banyan Botanicals, and in her free time, enjoys skiing, hiking, singing, and anything that gets her outside into wild places. She lives in Evergreen, Colorado with her husband, Erick Anno, and their son. Learn more about Melody on her website. The concept of agni, the Sanskrit word for "fire," is rather essential to the Ayurvedic tradition. Ayurveda views agni as the very source of life. It is said that a man is as old as his agni and that when agni is extinguished, we die. Perhaps even more significantly, Ayurveda teaches us that impaired agni is at the root of every imbalance and disease. So the importance of agni in Ayurveda simply cannot be understated. For many, the concept of food combining—the idea that some foods digest well together while others do not—is entirely new, and somewhat foreign. But according to Ayurveda, it is an essential part of understanding how to eat properly. 1 Vasant Lad, Textbook of Ayurveda Volume 1: Fundamental Principles of Ayurveda (Albuquerque: The Ayurvedic Press, 2002), 213. 2 “High Intensity Interval Training,” Wikipedia, last updated 20 Oct. 2014, http://en.wikipedia.org/wiki/Ojas. 3 Lad, Textbook 1: Fundamental Principles, 213. 6 Sebastian Pole, Ayurvedic Medicine: The Principles of Traditional Practice (London: Churchill Livingston, 2006), 181. 8 “Why Do We Sleep, Anyway,” Healthy Sleep (Harvard Medical School: Division of Sleep Medicine), last modified 18 Dec, 2007, http://healthysleep.med.harvard.edu/healthy/matters/benefits-of-sleep/why-do-we-sleep. 9 “Sleep,” Wikipedia, retrieved 15 Jul, 2014, Functions, https://en.wikipedia.org/wiki/Sleep#Functions. 10 “Why Do We Sleep,” Healthy Sleep. 11 Pole, Ayurvedic Medicine, 105.